Army form recording death in 1940. 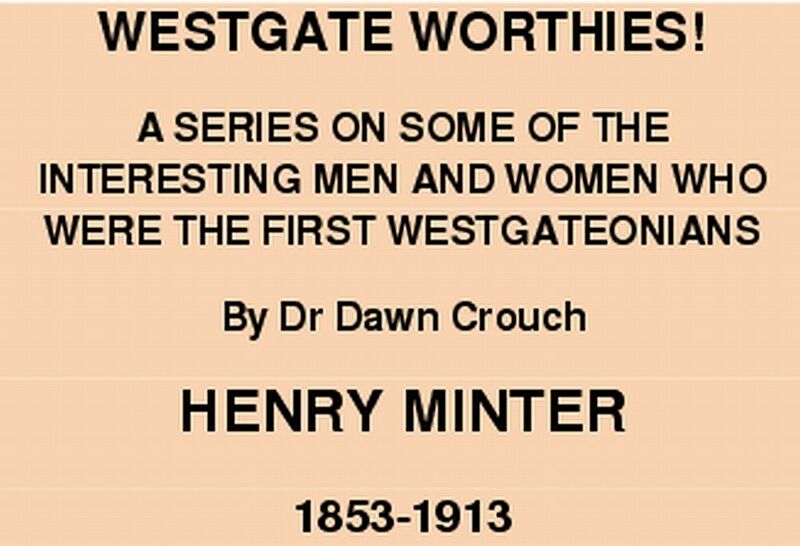 An article about Henry Minter was published in the Autumn 2013 edition of the Westgate-on-Sea Heritage Centre Newsletter. It is reproduced in full here with the kind permission of Dawn Crouch with help from Sally Whitworth and Neil Alderman. Wrtten by Jodi Fuller, a volunteer at Bendigo Cemetery, Victoria, Australia who has been researching John Marsh Minter so as to include him in a Heritage Tour. Page 2 of a note dated 11 June 1939 to Joseph's wife. Page 1 of a note dated 11 June 1939 to Joseph's wife. Joseph Hawkins' Will dated 8 May 1738.